PNM Engineering is known and trusted worldwide for providing a wide range of new, used and reconditioned parts for your Lotus sports car. We take great pride in offering a fast, friendly and efficient service in providing a comprehensive parts catalogue at the most competitive prices. 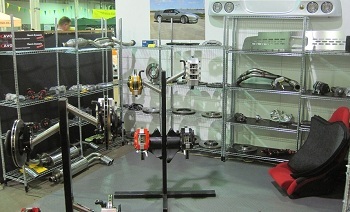 We have a vast range of new Lotus parts from the late 1960's onwards available. We carry most fast moving service parts and the extensive stocks of original parts we have accumulated allows us to offer rarer parts at discounted prices. Alongside our original new parts we carry a range of high quality replacement alternatives from a number of reputable manufacturers. These replacements, which have been tested and approved by PNM, are supplied at the most competitive prices. We are one of the world's leading manufacturer's of replacement obsolete Lotus parts. Our fully equipped machine shop allows us to produce and recondition a range of Lotus parts to the highest standards at competitive prices. Our size and flexibility allow us to carry out conversions and modifications to individual customers requirements and maintain rapid production schedules. We manufacture, modify and recondition a wide range of Lotus parts. 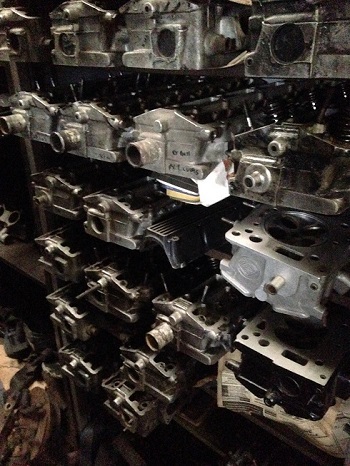 This includes engine blocks, cylinder heads, crank and cam shafts, waterpumps, pistons and liners. We have a vast range of used Lotus parts from the late 1960's to date available. All our parts are off the shelf, cleaned, tested and come with PNM's usual warranty and after sales back-up. The dismantling of Lotus cars and storage of parts is all carried out in our workshops and warehouse.